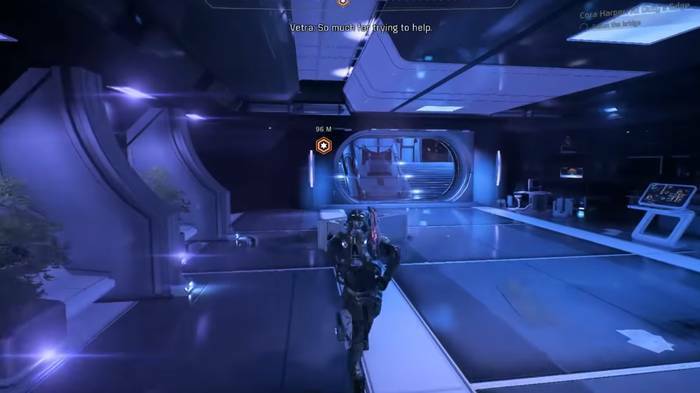 This page contains a full walkthrough on how to find the Asari Ark in Mass Effect Andromeda, including objectives, locations and strategies. Finding the Asari Ark is directly related to Cora Harper’s Loyalty Mission Cora Harper: Edge of Duty. The mission takes Ryder and the crew to track down the missing Asari Ark that was last heard from on Voeld. Click here to go to our Side Missions Directory! Access the email terminal and read Cora’s email about a report on some Asari refugees on Eos. After reading her email, head to her quarters by following the quest marker. Once inside, speak to her and accept her decision to look for the Asari Refugees. Follow the quest marker again and travel to Prodromos on Eos. Head for the quest marker and talk to Hydaria. Here, Hydaria will tell you that the kett have pursued the Asari ark across Heleus with no one sure where the ark eventually ended up in. You’ll be asked to follow the transponders of the Periphona to get more leads. Head to Voeld on the Nomad towards the quest marker. SAM will you that the first signal of the Periphona you picked up was fake. There will then be four signal scattered on your map, the real one being the one to the farthest on the east. When you approach the source of the signal, be prepared to engage some kett. 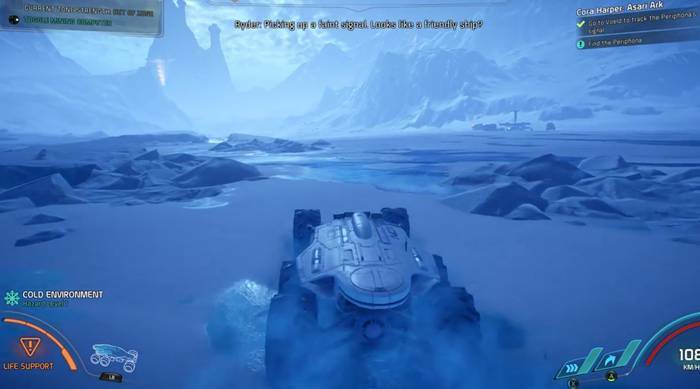 After defeating them, use your scanner on the transponder and operate it. Watch the custscene that will play. From here, you’ll need to progress further into the Main Mission and complete A Trail of Hope. When you do, you’ll receive another email from Cora regarding the progress of cracking the code of the Periphona. 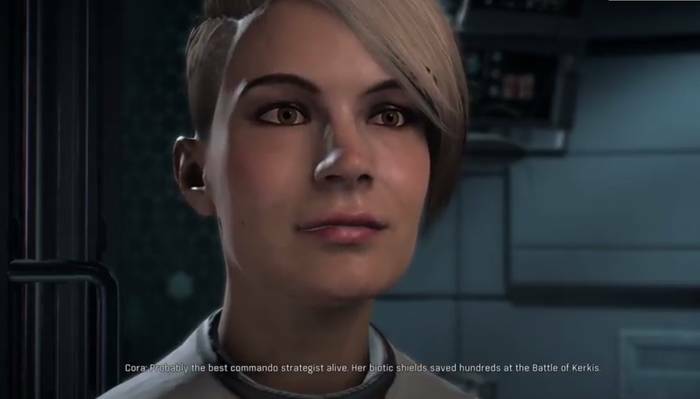 You’ll then begin Cora’s Loyalty Mission called Cora Harper: Duty’s Edge. Read Cora’s email. You’ll then get the coordinates or the location of the Asari Ark, thought of as an anomaly on the Valay System. When you get to the site, be prepared to engage some kett. Further into the site you’ll meet Sarissa, Cora’s mentor. From here, you’ll have to restore the power to be able to execute an FTL jump to ecape the site. 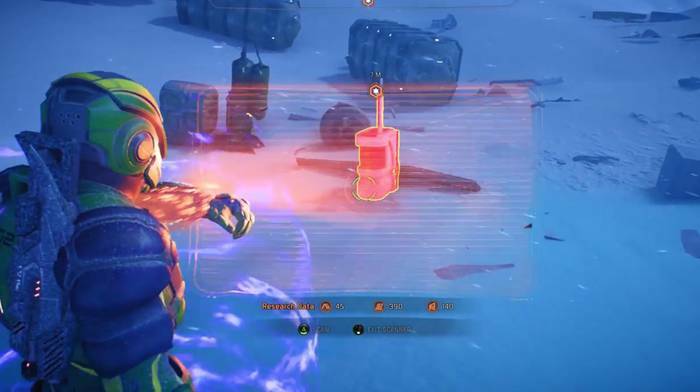 You’ll be joined by Vederia to clear out the enemies while looking for the Mass Field Generator. When you find it, disable it. You’ll be treated to some more backstory involving Sarissa and how she became Pathfinder. Soon, you will need to stop a Kett invasion as part of the hull of the ship comes off. Be prepared to take on waves of kett and finally, a Kett Valiant as the enemies last strike force. You”ll need to complete some specific objectives as you fight off enemies here. When you’ve defeated the enemies, talk to Sarissa and prepare to make a major decision that impacts the story. 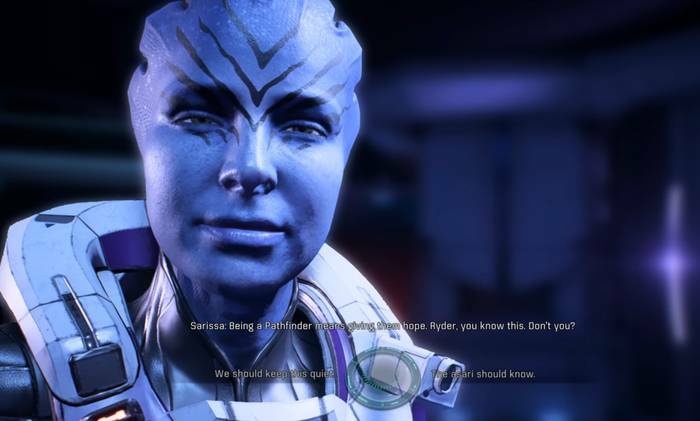 If you force Sarissa to reveal the truth, Vederia will replace her as Pathfinder of the Asari Ark. If you keep it a secret, Sarissa will remain as the Pathfinder, backed by her years of experience and power. Sarissa remains as the Pathfinder of the Asari Ark, keeping the truth from the rest of her crew on what really transpired on day they were attacked. Dialogue 2 is initiated. Vederia is made aware of possibly being the next Pathfinder since she is next in line. 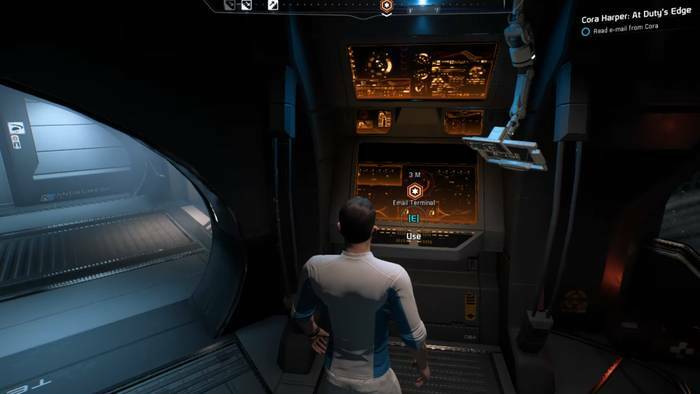 Ryder’s word will decide. Sarissa is stripped off her Pathfinder status. Vederia becomes the new Pathfinder. Sarissa remains as the Pathfinder of the Asari Ark, despite the Asari crew finally learning the truth. If you reveal Sarissa but keep her as Pathfinder can she still help you save Captain Dunn at the end? You can reveal the truth and keep Sarissa as Pathfinder. You have a second dialogue option after the initial choice that lets you. Thanks for the correction, Scotch and Butter! We’ve updated the page now.